Synopsis: It was supposed to be the trip of a lifetime, a final adventure before settling down. 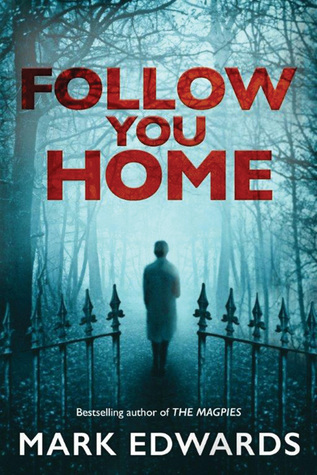 Review: This book was pretty creepy/horror in the beginning before it turned into a psychological thriller. I haven’t really read anything in this genre before so it was a nice introduction. On Amazon Prime Day, members were given a choice of three books to have for free and this is the one I chose. It’s almost 400 pages and I flew through them in just two days. I couldn’t put the book down. I will say that it starts on a high note and slowly goes downhill from there. The plot was enjoyable but was also predictable at the same time. It starts with what happens in Romania and then fast forwards months later and the two main characters are really messed up mentally and physically because of what happened in Romania. I think that was a clever opening because it makes you want to keep reading as fast as possible to find out what happened. Daniel was a good main character. The story is told in the perspective of multiple characters but you’re in his head most of the time. Laura was not a good character and her ending was so dumb. Something so much better could’ve been done I think. The “bad guy” (don’t wanna give much away) is seriously messed up. The ending was disappointing for me. For a book that started off so good the ending fell short. The plot line also seemed a little unbelievable but for a book that was listed as free it was much better than expected. What’s your favourite psychological thriller? This entry was posted in book review, mark Edwards, review. Bookmark the permalink.